The holidays are around the corner, and if you are planning for entertaining this season, here are some ideas for your next get together. 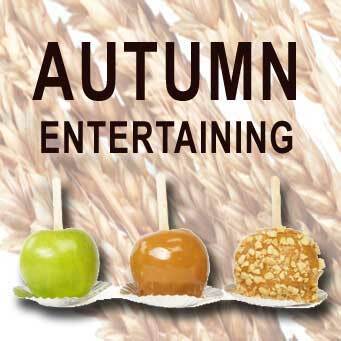 From candy apples to patio heaters, we're here to help you throw a great party. Candy Apples Apples are in season, and It's fun and affordable to serve up delicious candy apples. Our candy apple supplies make it fun and easy to please your guests. Make Sausage Accompany Sunday football with homemade sausage - a sausage maker might be your ticket. 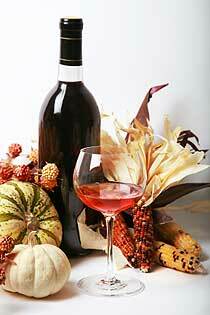 Get Set for Turkey As the holidays approach, get the right tools for a turkey dinner. We stock restaurant quality cooking tools that are great to have in your own kitchen. Browse our staff picks for Cooking Turkey. Bake Like a Pro We stock essential baking tools such as silicone baking mats, pie pans, whisks, mixing bowls, timers, cake pans and more. With the right tools for the job, your baking experience will be a success. Our staff picks for Baking Tools can help you make sure you are prepared. Homemade Pasta Our pasta machines make it easy to roll out dough and cut a variety of pasta, including cavatelli, lasagna, ravioli, spaghetti, fettucini, and more. Be sure to checkout our recipes and instructions on making homemade pasta. Warm Your Patio Stay warm under one our heavy duty patio heaters. They are perfect for restaurant patios, and they can make your home's patio comfortable in cooler weather too. Bake Pizzas Try topping with only olive oil, apples, red onions, and goat cheese. Get creative and have fun using different crusts, cheeses, vegetables and meat toppers. Our Pizza Kit will supply you with commercial quality accessories for your pizza party. Fondue On cold fall nights, wine and fondue is fun and easy with these Fondue Sets.